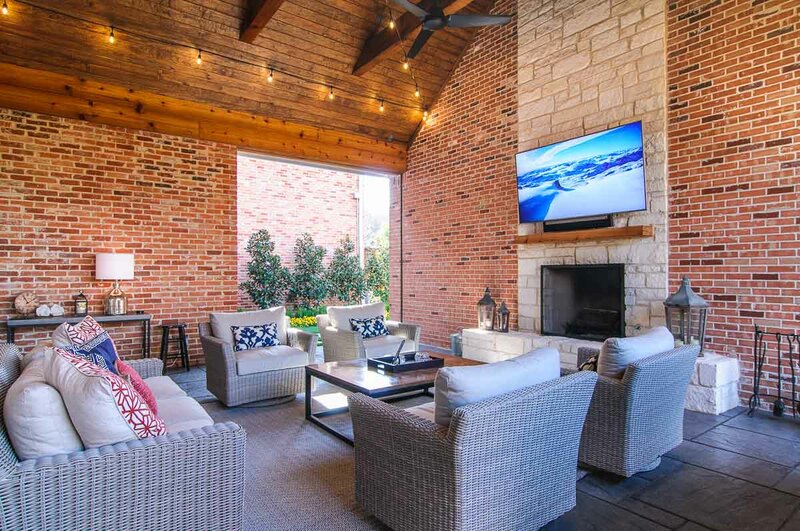 In the spring and fall the patio is probably the most enjoyable living space in your average Dallas home. It stands to reason that if you could easily extend the useful life of your patio it would be a great investment in your families enjoyment. 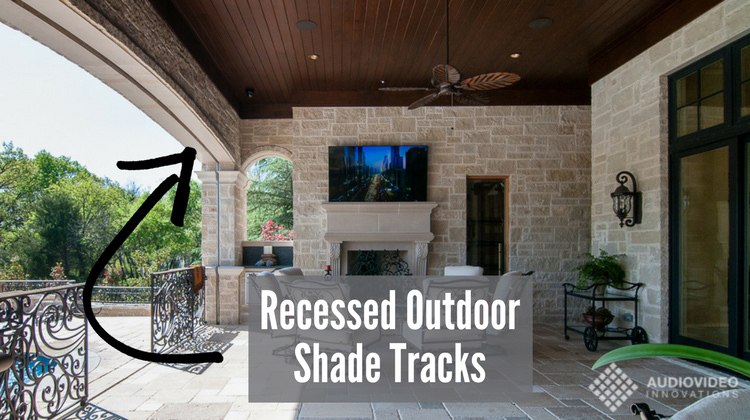 Below we will cover some of the best reasons to add motorized outdoor screens to your home, and some considerations for doing so. One of the best reasons to add automated outdoor shades to your home is to increase the number of days outdoor living is truly enjoyable. Let's face it, spring and fall are great seasons to enjoy the average Dallas outdoor living space, but our long hot summers can push even the most committed back indoors. Motorized outdoor shades can reduce patio temperatures 20° or more in the summer. In the winter the effect is similar, and especially effective if there is a heat source on the patio such as a fireplace or gas heater. Motorized outdoor shades are often called automated bug screens, which is pretty accurate when they are installed correctly. In fact, there are even very open fabric options designed specifically for protection from insects without a big impact on light or air flow. To provide protection from bugs it is important that screens are installed that feature some sort of sealed channel on the edge of the fabric. Otherwise, bugs will simply go around the screen. It is also important to ensure the shade is closing on a relatively flat surface, as to much of a slope may result in the shade not sealing against the ground. Sun and rain are very harsh on fabrics, electronics, and everything in between. 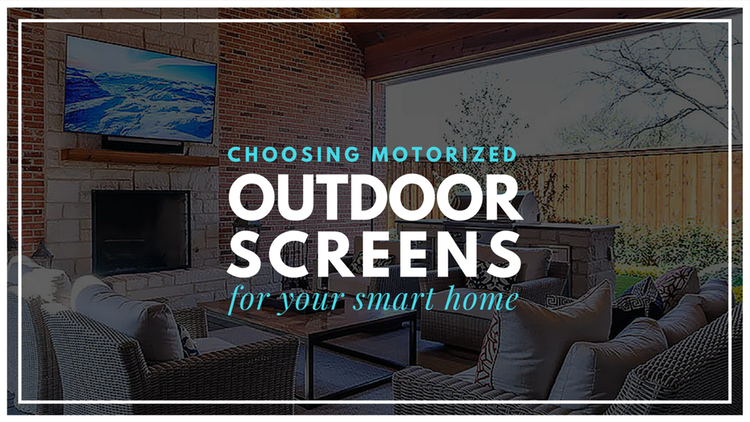 Motorized outdoor screens can help keep harsh UV rays from destroying fabrics, increasing the life of expensive patio furniture, rugs, etc. Some materials will also reduce the intrusion of pollen and dust into your outdoor living space. Sick of chasing napkins across the yard when you try to eat outside? Motorized shades can reduce wind on your patio, making it more enjoyable to eat or enjoy the big game. In Dallas it is most enjoyable to be outdoors in the morning and evening, and depending on the direction your home faces, you will probably be dealing with glare issues during one of those times. Glare from direct and reflected sunlight makes it miserable to do anything outdoors like read, watch TV or just enjoy a glass of wine. Almost all outdoor screen fabrics do good job of reducing glare, further increasing the time you can spend enjoying your outdoor living spaces. When installing outdoor motorized screens we always attempt to conceal the shade as much as possible. This includes building pockets to hide the roller and recessing the track into your brick, stone, siding, etc. Doing so isn't always easy, and it involves working closely with architects, contractors, masons, carpenters, and electricians. If you are considering a patio addition it is best to contact us right away to make sure the design of your space will allow a fully integrated shade. Outdoor motorized shades are available in a huge variety of fabrics and metal finishes. Screen fabrics vary greatly in color, opacity and purpose. Some projects call for very open mesh designed just to keep bugs out, while some jobs require the filtering of direct Western sun. Shade fabrics impact the maximum size a shade can be, how much wind it can withstand, and more. The best way to ensure your shades do exactly what you need is to get us involved early so we can work with your design team to make sure your space will support the shades that meet your needs. Motorized Outdoor screens are one of the easiest and most convenient ways to extend the number of days your family gets to spend outside. They allow the perfect mix of access to, and protection from, the outdoors.